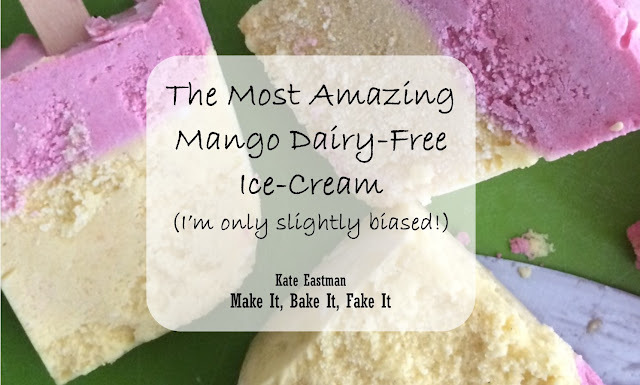 This mango (or berry if you wish) ice-cream is to die for! Honestly!! Only 4 ingredients too! Whip the thick white coconut cream (save the clear liquid for another recipe) and the coconut condensed milk until rich and thick. Add in vanilla and fruit. Whip until combined. Freeze in a cling wrap lined container overnight. Remove frozen mix from freezer, remove cling wrap, and chop frozen mix roughly with a knife. Throw frozen mix into food processor and mix until smooth. Add a few slurps of leftover coconut milk to smooth it out. Perfect for surviving summer in Sydney.